60″ wide 100%cotton. Beautiful floral with butterflies and bugs. 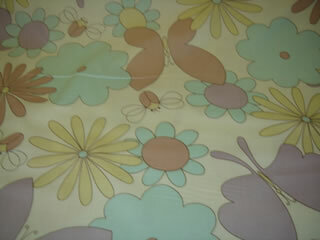 Soft, has a wonderful feel, great for a nice spring dress, skirt or children wear.